← Fruitful Apple and Pear? 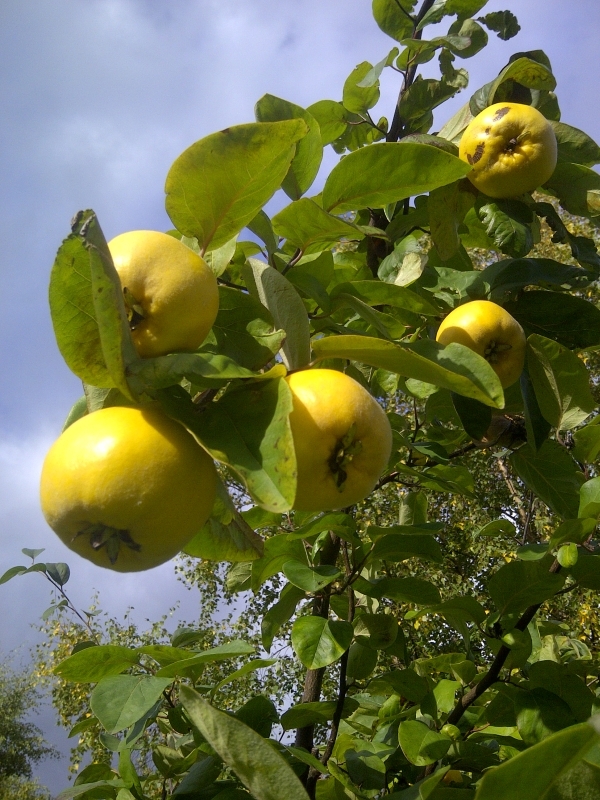 This year has seen a bumper crop of quince on our quince tree as predicted. 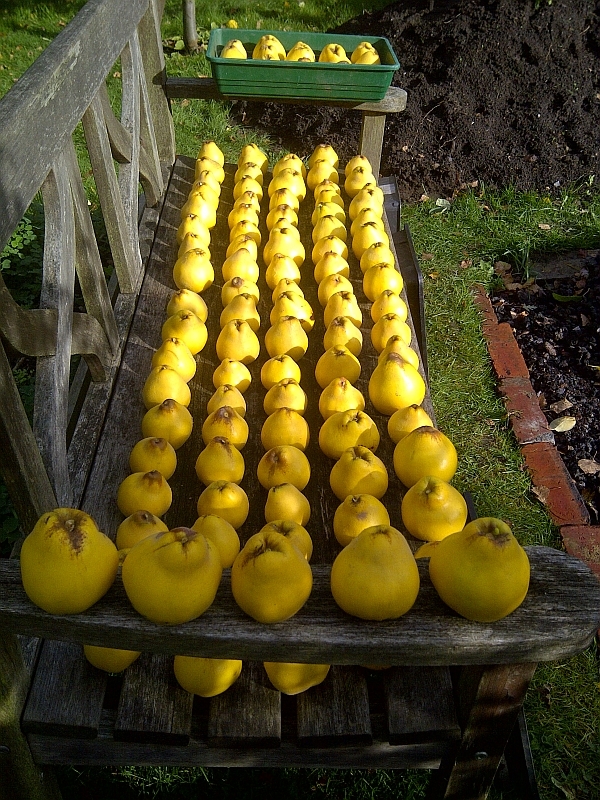 My beloved has been busy processing the quince into quince jelly and membrillo.